Valid on 2 adult tickets. Valid at Worlds Of Wonder Amusement Park in Delhi/NCR. Valid till 22nd January 2019. 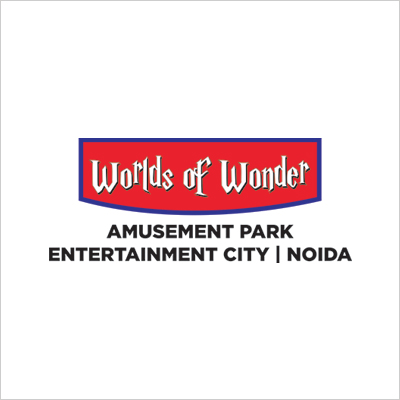 Worlds of Wonder, established in 2007 is a world class destination in Delhi-NCR which houses an Amusement Park, a Water Park, and a go-karting track. The Parks are designed to cater to the needs of all age groups. 1. With this deal, you can buy 2 Adult Tickets & get a free Food Voucher worth Rs.150. 2. Valid at Worlds Of Wonder Amusement Park in Delhi/NCR. 3. Valid till 22nd January 2019. 5. If the ticket is altered /tampered or exchanged, it would be canceled. 6. Height & weight regulations to be followed as per safety norms of each ride. 7. Guest must comply with all amusement park and Go Karting rules and regulations. 8. Visitors wearing Sarees/Lungi are not allowed on Feedback, Big Beat & Rocking Roller. 9. Bringing food, alcohol or other beverages from outside into Worlds of Wonder is strictly prohibited. 10. The Worlds of Wonder management reserves the right to deny admission or ask a person already admitted to leave the premises for failure to comply with any of the Worlds of Wonder rules or for unsafe, illegal or offensive behavior. 11. Expectant mothers, individuals with heart conditions, nervous disorder, blood pressure and neck or back injuries should not use the rides. 12. Guests are requested to take care of their belongings. The management will not be responsible for any loss of articles. 13. Weapons, Pets, Cigarettes and other Tobacco products are not allowed inside the park. 14. Entry to the Worlds of Wonder will close one hour before the closing time of the Park. 15. It may be possible that one or more rides may not be operational for reasons beyond our control, we request you to bear with us and enjoy other rides instead. No refund will be made under such circumstances. 16. Events, rates and timings are subject to change without prior notice. 17. Users who have not undergone Paytm KYC will not receive cashback in their wallets. Visit the Worlds Of Wonder Amusement Park to redeem the offer. Share the order id with the cashier at the time of payment.